Below are some great options for activities and places to visit in Banff National Park in the winter months. Banff National Park, plays a significant role in Canada's history as it is the first National Park in the Country. 6,641 square kilometers of epic, mind blowing landscapes that will leave you speechless. Above is Lake Minnewanka which is the largest natural lake in the Canadian Rockies, we were greeted by the Aurora breaking through the night sky! 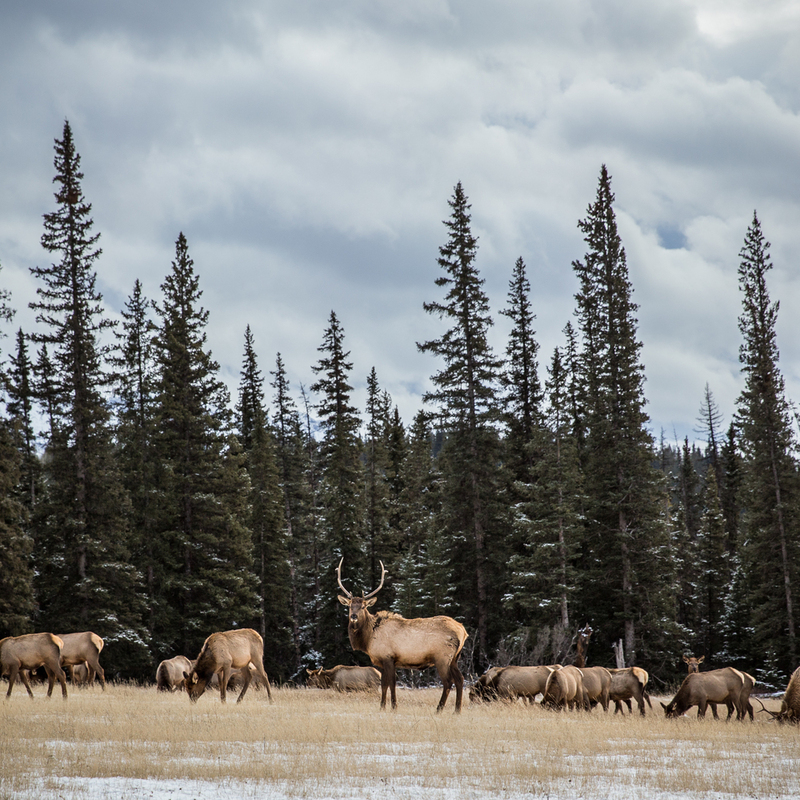 Banff is home to hundreds of different species of wildlife, plants and organisms. Keep your eyes peeled while in the park, you never know what you may come across. There are specialized wild life tours as well! 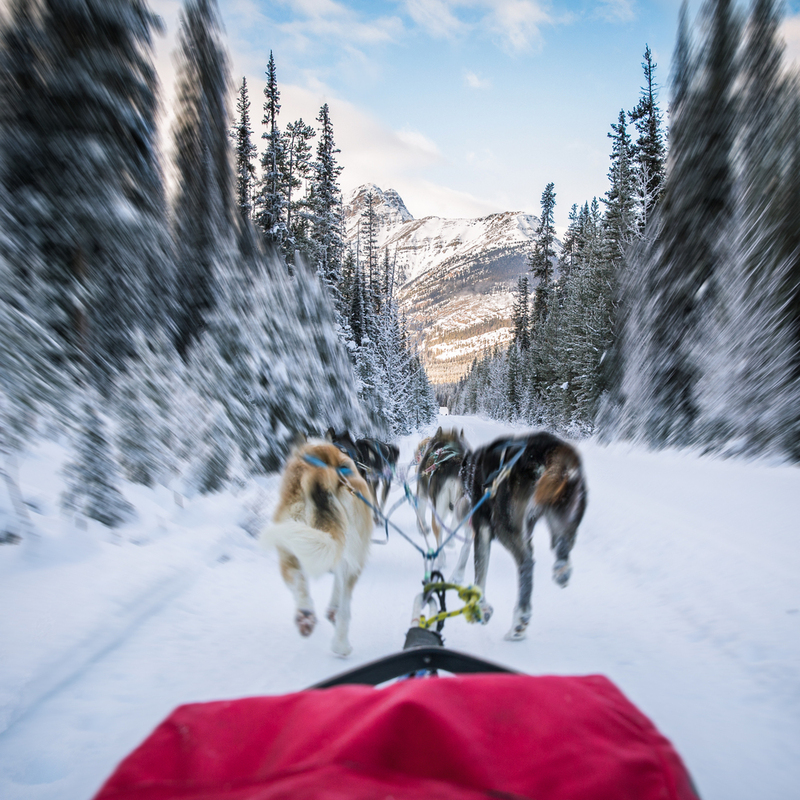 Pacing through the forest with 7 gorgeous Alaskan Huskies is something you are going to want to add to your bucket list! Watching these amazing dogs do what they love to do is something else. This is available via Kingmik Dog Sled tours. For those that love adrelaline Sunshine Village has a wicked terrain park. 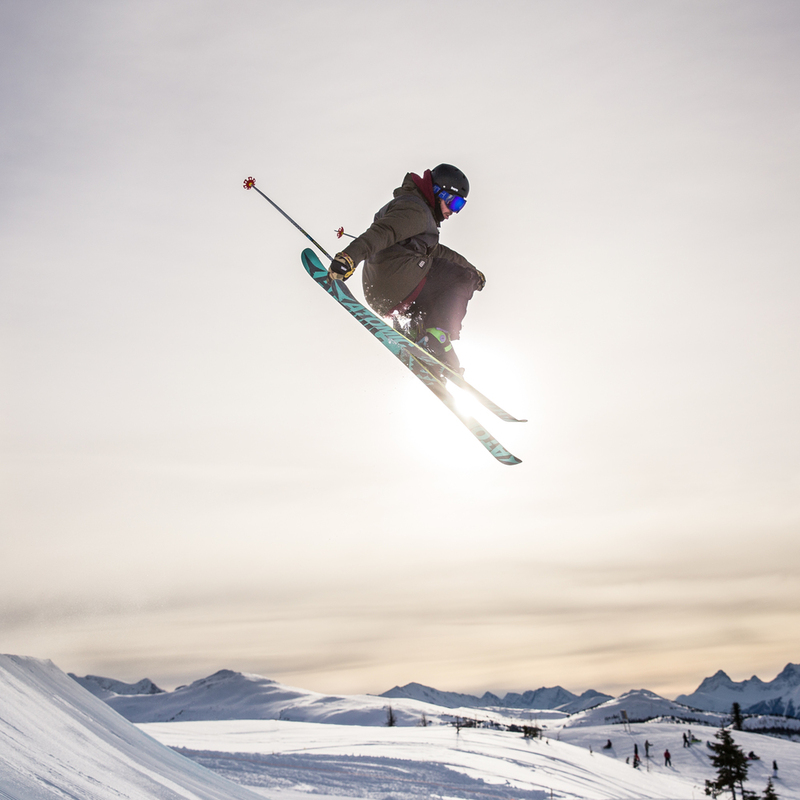 Get airborne and witness countless peaks in the distance. If the park isn't for you, the world famous powder may intrigue you! With 4200 skiable acres Lake Louise Ski Resort offers a little bit for everyone. No matter where you look while on the hill you are sure to be pleased by monumental views of surrounding mountains and Lake Louise itself. For somewhere easily accessible and breathtaking I would recommend heading to Vermilion Lakes to watch the sun rise over the infamous Mount Rundle. This scenic landscape is open year round and a close walk or drive from the town itself! After watching the sunrise, head over to the Banff gondola which takes you up to Sulphur Mountain. You can hike along the spine of the mountain and end up in grand places like this. Ask anyone who has ever been down the Icefields Parkway and they will probably tell you that it was the most memorable and beautiful drive that they have ever taken. If you have the time I recommend checking out Herbert, Bow and Peyto Lake. Bring some snow shoes! If you have a taste for the lavish life and enjoy waking up to views like this, head over to the Fairmont Chateau Lake Louise. There are many great hikes in the surrounding area! At the end of the day its hard to beat relaxing alongside a camp fire with friends and family, Cascade Ponds has a variety of spots with fire pits for your convenience! For more photos check out Banff Lake Louise (@banff_lakelouise), myself (@taylormichaelburk) and Callum Snape (@calsnape) on Instagram. Thanks for reading and viewing my blog!